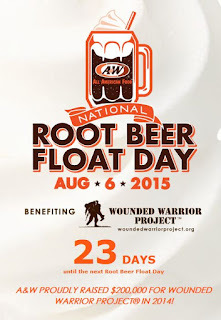 Freedom Rockz: Free A&W ROOT BEER FLOAT! 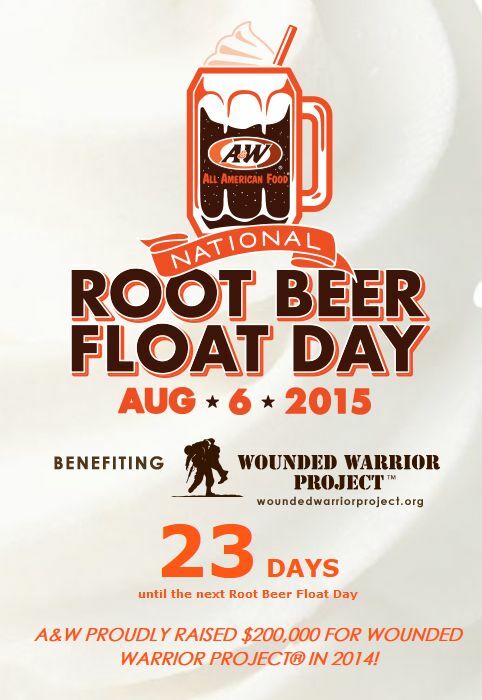 Free A&W ROOT BEER FLOATS! * Stop in to your local A&W Restaurant anytime between 2 p.m. and store closing Aug 6th, 2015. As a part of the celebration, we will be collecting donations to honor and empower wounded warriors across the country through Wounded Warrior Project.